For example, you create a credit memo to refund a customer for a item that breaks after they’ve paid for it. Because the credit memo was not made as a follow-on document to the invoice, there is no relationship appearing in the relationship map. 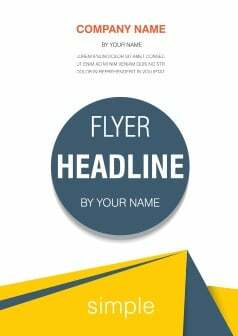 Later you would like to link the two documents so it is clear why the credit was paid. 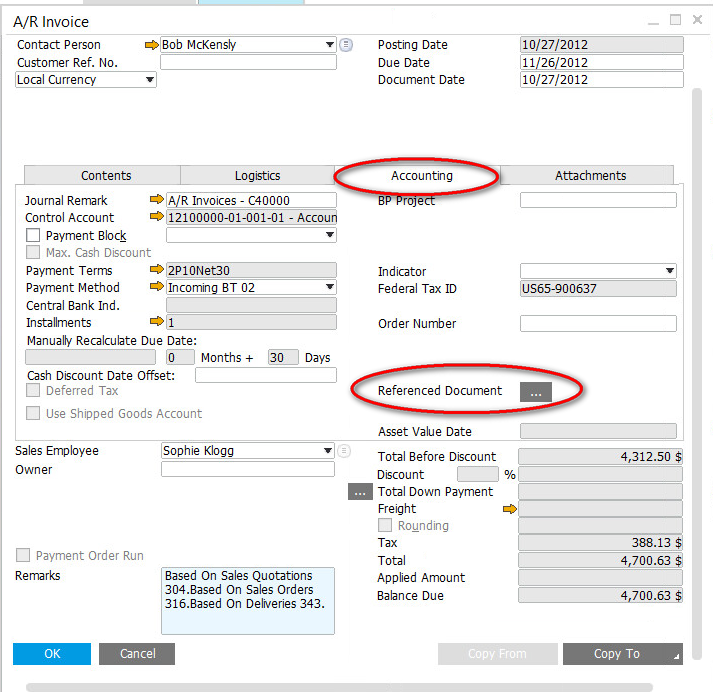 In this case, you can use the Reference Document button on the Accounting tab of either document. In SAP Business One 9.2, users have the option to create a relationship in the relationship map by referencing an unrelated document. 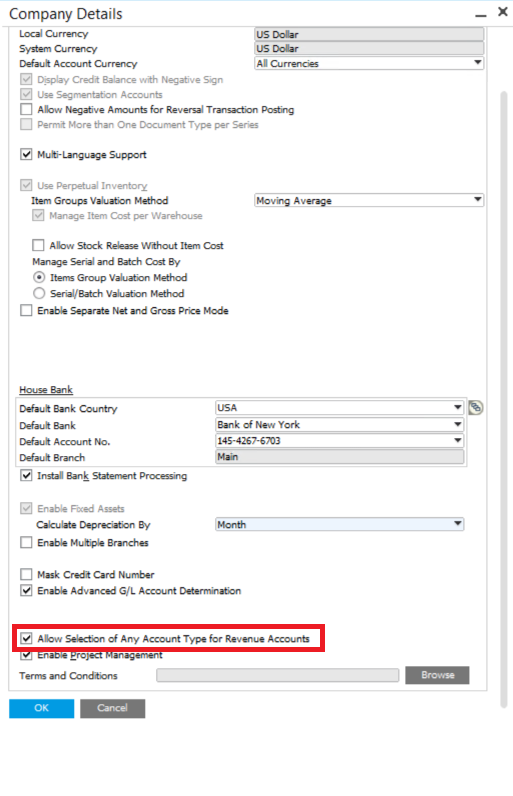 The referenced Document button is under all marketing documents' accounting panel. 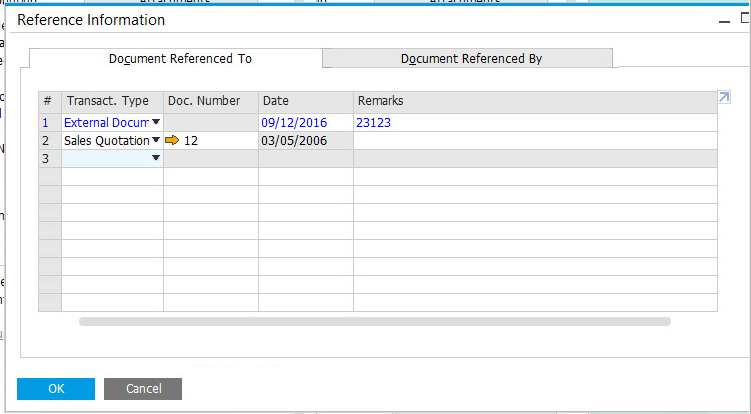 This opens the Reference Information window where you can choose an existing document to reference. 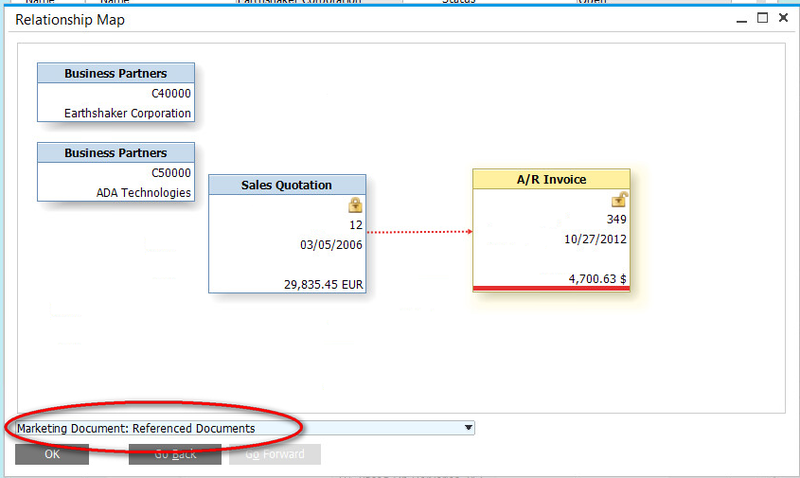 In the Relationship Map, choose Referenced Documents in the dropdown to view the relationship you have created.